On International Day of the World’s Indigenous Peoples Prof Hugh Taylor writes about his work with Indigenous Eye Health in Australia. I first started working on trachoma and issues around the eye health of Australian Aboriginal and Torres Islander people as a young ophthalmologist in 1976 when I worked as the assistant director of the National Trachoma and Eye Health Programme. I then moved to Johns Hopkins in Baltimore where I continued to do both field and lab work on trachoma, onchocerciasis and epidemiologic studies of cataract. I returned to Melbourne in 1990 as chair of ophthalmology and in 2008 established the Indigenous Eye Health group (IEH) at the Melbourne School for Population and Global Health at the University of Melbourne. 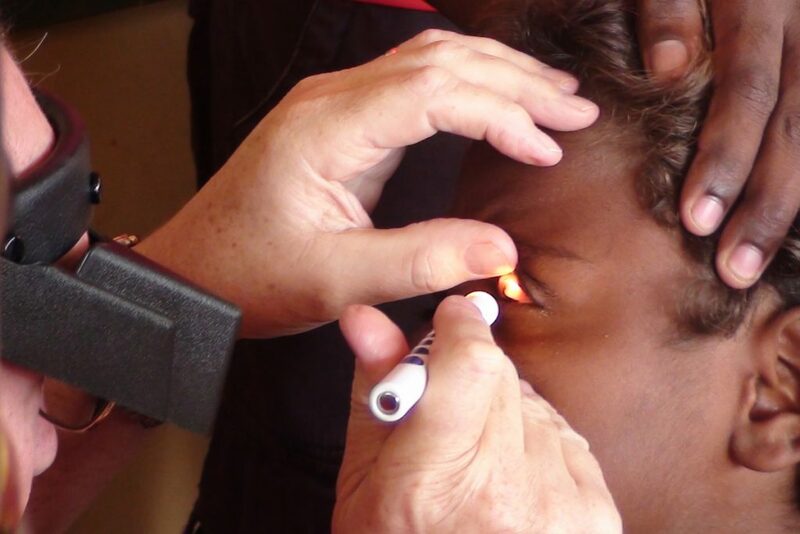 At IEH we have undertaken formative research to assess the need, barriers and enablers to the delivery of eye health services for Aboriginal and Torres strait Islander peoples, the Indigenous peoples of Australia, to provide equity in eye care. The evidence base we gathered has guided the development of a comprehensive and feasible policy framework, the Roadmap to Close the Gap for Vision (the Roadmap) that is endorsed by the Indigenous and mainstream health sectors and government. The gap in vision is closing but there remains a lot more work to be done. The most recent National Eye Health Survey in 2016 reported that the prevalence of vision impairment and blindness among Indigenous Australians is three times that of non-Indigenous Australians in 2016. This represents a significant improvement from a previous survey in 2008, the National Indigenous Eye Health Survey, where the rate was 6 times the mainstream rate. A key focus for IEH is trachoma. Australia is the only developed country where trachoma is still prevalent and this burden of disease is suffered exclusively in Aboriginal and Torres Strait Islander communities. The disease was eliminated from mainstream Australia through improved sanitation about 150 years ago. Ten low- or middle-income countries have managed to eliminate trachoma before Australia. 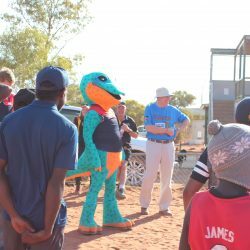 IEH spreads the message of face and hand washing through a variety of approaches in its clean face, strong eyes health promotion program spearheaded by Milpa the Trachoma Goanna. The trachoma team also works to ensure that Indigenous people have access to functioning bathrooms. These measures go a long way towards preventing the disease. The combined efforts have reduced the rates of trachoma in children in the endemic areas from 21% in 2008 to 4.6% in 2015. Diabetic Retinopathy (DR) is the third most common cause of vision loss after refractive error and cataracts. Most people with diabetes are not aware of the need for annual eye exams for those with diabetes even if vision is normal. This was true for clinic staff as it was for those with diabetes and their families. This indicated the need for health promotion that provided that message to patients and clinic staff. IEH, in collaboration with a number of communities developed a range of check today, see tomorrow health promotion resources to promote the need for annual eye checks for Indigenous people with diabetes. IEH has also successfully advocated a range of government policy measures to facilitate these checks, including government patient payments for annual photographic screening for DR along with the roll-out of photographic equipment and training to support this screening. In addition, online training has been developed to help clinic staff learn more about the eye care required for people with diabetes, for conducting eye examinations and for grading diabetic retinopathy. Equally important is IEH’s work at a state and regional level to implement the Roadmap and work with key stakeholders to improve patient pathways for cataract surgery and access to spectacles to correct refractive error. IEH has now begun this implementation process in all states and territories in Australia and over 20 regions that cover over half the country are now actively engaged in collaborative activities to improve patient pathways.